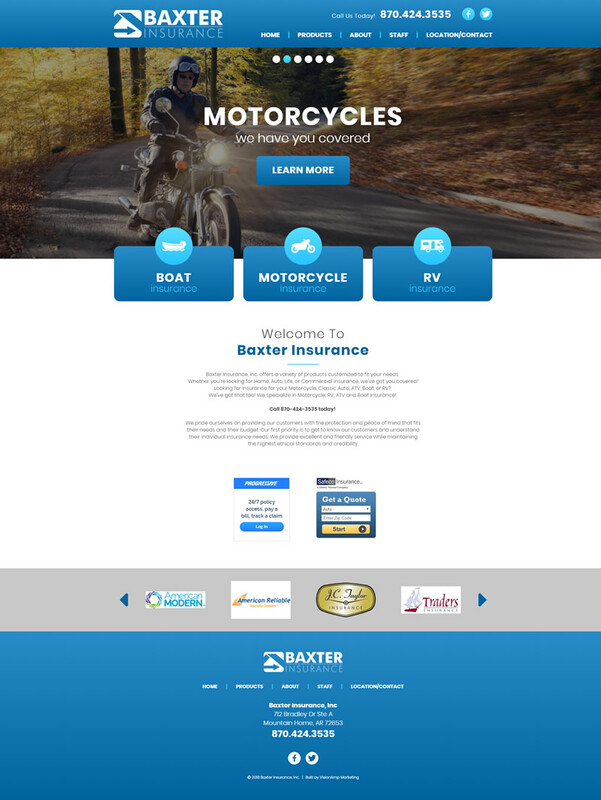 VisionAmp worked with Baxter Insurance, Inc. to create a responsive and mobile-friendly website. In addition to making the site responsive, minor changes were made such as making the call-to-action buttons more prominent on the homepage and adding the “Get a Quote” form on each of the product pages. Baxter Insurance, Inc., located in Mountain Home, Arkansas, has been servicing its customers since 1989. They are locally owned and operated and are also licensed to write insurance in Arkansas, Missouri, Louisiana, Tennessee, Oklahoma, Kentucky, and Mississippi.